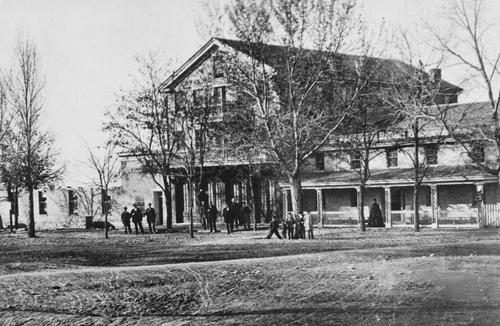 Salt Lake Tribune archive Juab, Utah hotel and railroad station in 1883. 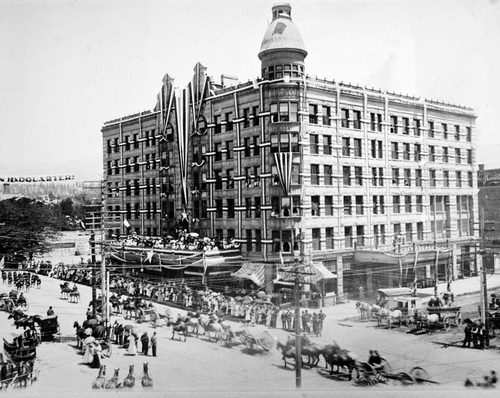 Salt Lake Tribune archive The Knutsford Hotel was located on the northeast corner of State Street and Broadway in Salt Lake. In 1 Salt Lake Tribune archive Billiards room in a boarding house in Newhouse, Utah. Salt Lake Tribune archive A "half-way house" in Parley's canyon. The cafe and hotel was so named because it was half wa Salt Lake Tribune archive The Tuttle House, Manti, Utah. Salt Lake Tribune archive The Central Hotel, Corinne, Utah 1871 Salt Lake Tribune archive A boarding house in Copperfield, Bingham Canyon in 1910. Salt Lake Tribune archive The Ogden House in Alta, Utah. Salt Lake Tribune archive The White House hotel in Salina, Utah around 1920. The hotel was located on the corner of Main and Stat Salt Lake Tribune archive The Walker Hotel located at Main St. just below 2nd South in Salt Lake City. Salt Lake Tribune archive The Valley House was a prominent Salt Lake hotel that was located on the corner of South and West Templ Salt Lake Tribune archive The Valley House was a prominent Salt Lake hotel that was located on the corner of South and West Templ Salt Lake Tribune archive Vice President Colfax from the balcony of what was known for a period of time as "the leading hote Salt Lake Tribune archive Hotels and boarding houses Salt Lake Tribune archive Ontario House. 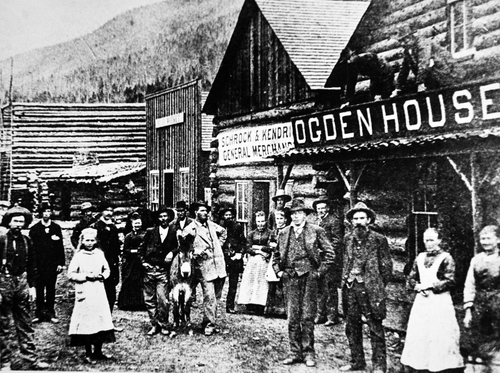 was the boarding house at the Ontario silver mine in Park City, Utah around 1870. 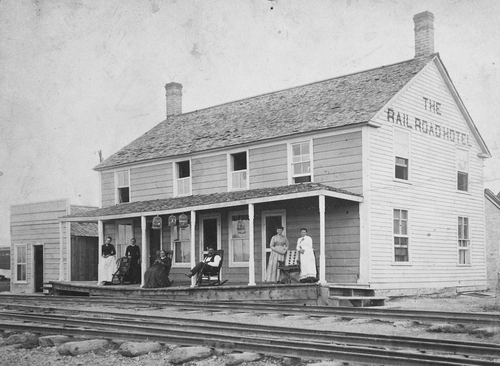 Salt Lake Tribune archive Juab, Utah hotel and railroad station in 1883. 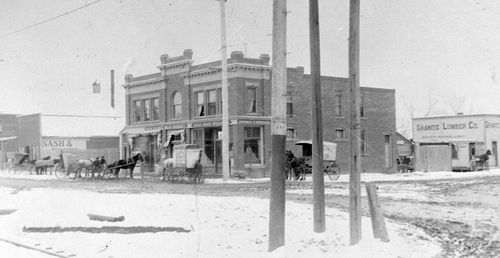 Salt Lake Tribune archive The Knutsford Hotel was located on the northeast corner of State Street and Broadway in Salt Lake. 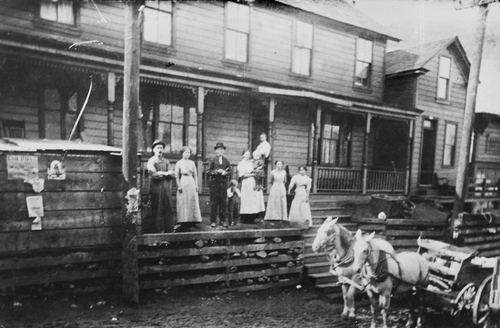 In 1908 when this picture was taken, it was considered one of the finest hotels in the country. 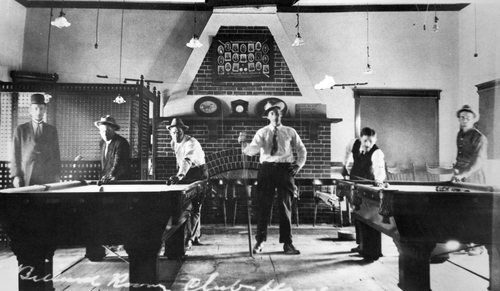 Salt Lake Tribune archive Billiards room in a boarding house in Newhouse, Utah. Salt Lake Tribune archive A "half-way house" in Parley's canyon. 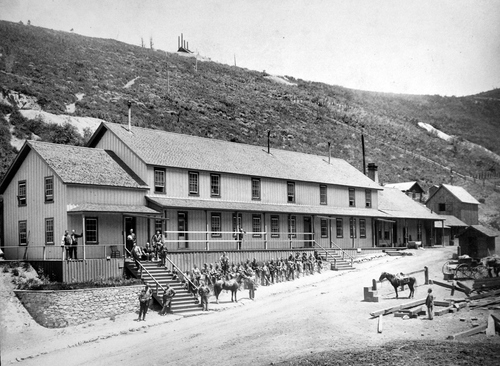 The cafe and hotel was so named because it was half way between Salt Lake and Park City. It was on the east side of the canyon near the road to Lamb's Canyon. Salt Lake Tribune archive The Tuttle House, Manti, Utah. Salt Lake Tribune archive The Central Hotel, Corinne, Utah 1871 Salt Lake Tribune archive A boarding house in Copperfield, Bingham Canyon in 1910. Salt Lake Tribune archive The Ogden House in Alta, Utah. 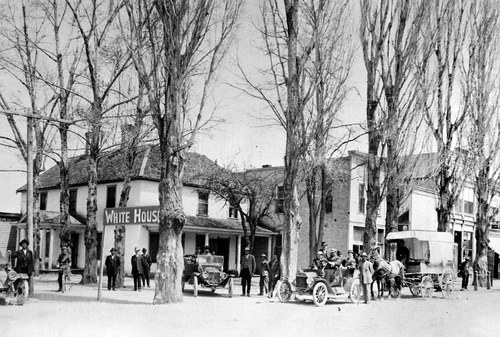 Salt Lake Tribune archive The White House hotel in Salina, Utah around 1920. The hotel was located on the corner of Main and State in Salina. Salt Lake Tribune archive The Walker Hotel located at Main St. just below 2nd South in Salt Lake City. 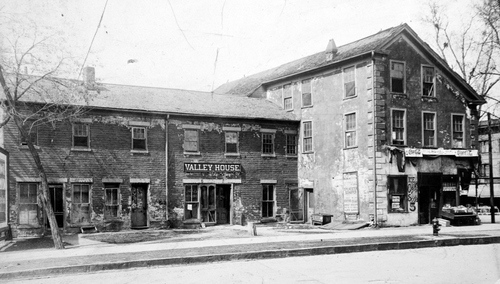 Salt Lake Tribune archive The Valley House was a prominent Salt Lake hotel that was located on the corner of South and West Temple streets. The hotel was razed to make room for the Orem and Bamberger lines. 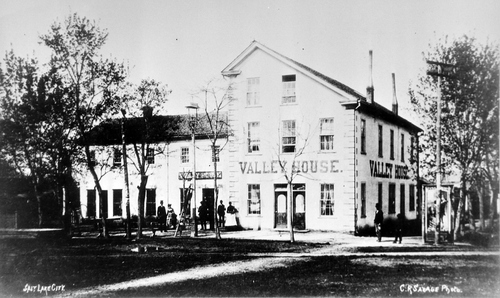 Salt Lake Tribune archive The Valley House was a prominent Salt Lake hotel that was located on the corner of South and West Temple streets. 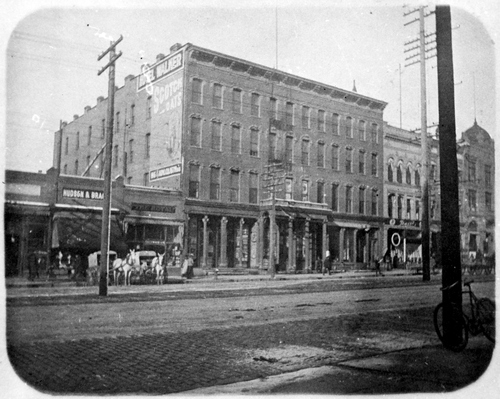 The hotel was razed to make room for the Orem and Bamberger lines. Salt Lake Tribune archive Vice President Colfax from the balcony of what was known for a period of time as "the leading hotel in Salt Lake City." 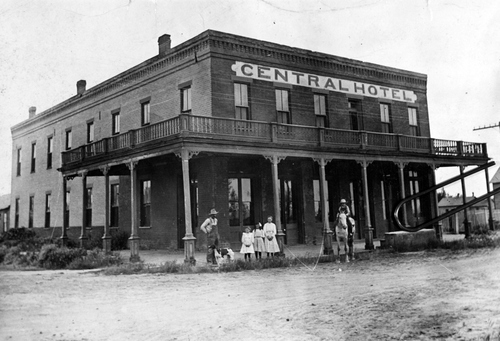 The Townsend House originally opened at the end of the Civil war and was later called the Continental Hotel after renovations in 1887. The hotel was known for its modern amenities. Salt Lake Tribune archive Hotels and boarding houses Salt Lake Tribune archive Ontario House. 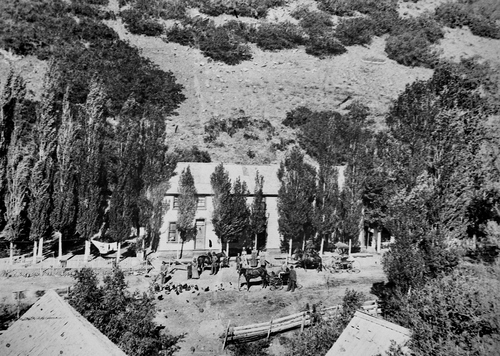 was the boarding house at the Ontario silver mine in Park City, Utah around 1870. Each Friday, The Salt Lake Tribune presents images from its archives in a special series called A Look Back. This week&apos;s gallery features photos of the hotels and boarding houses that littered Utah and Salt Lake at a time in the state&apos;s history when it was a popular stop on the way both East and West. Every gallery of the series is available at http://www.sltrib.com/topics/lookback.